We at the SMEI would like to take this opportunity to thank everyone who attended and helped make our recent 8th National Conference such a huge success. We had two days of interesting and creative presentations, workshops and posters, augmented by an engaged and questioning audience. 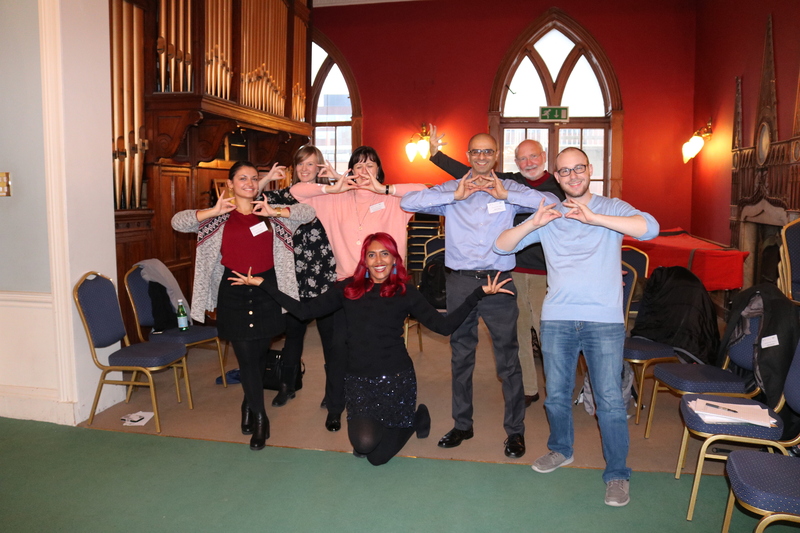 We were particularly delighted to welcome so many international delegates this year, including participants from throughout Europe, the US, Canada and Australia. 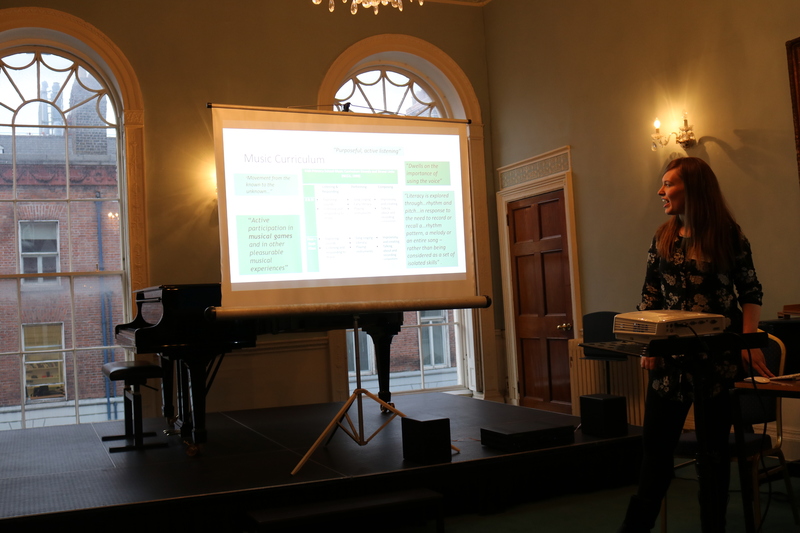 Rachel Byrne, Dublin City University, presents on her research into play-based activities for music education in Irish primary schools. 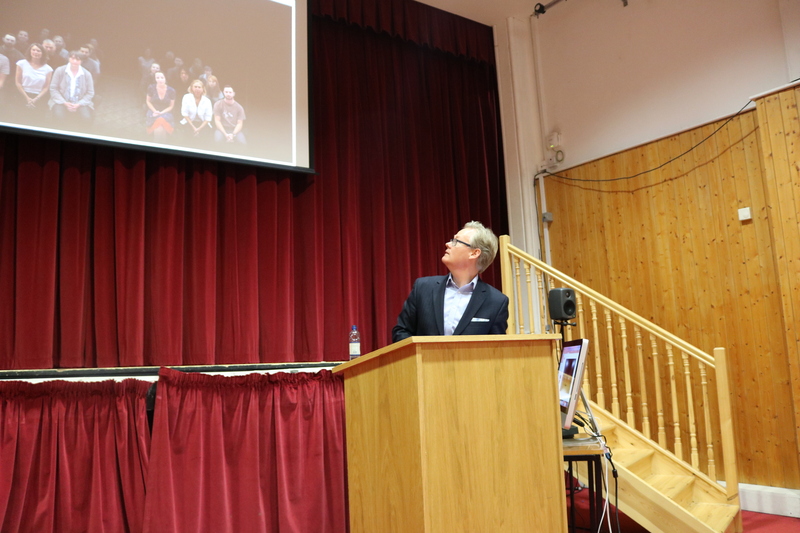 We would particularly like to thank our two keynote speakers, Prof. Brian Irvine and Prof. Aaron Williamon, who provided two very different, yet equally intriguing presentation, demonstrating the vast breadth of the Music Education sector. Prof. Aaron Williamon introduces us to one of the toughest audiences we’ll ever meet. Finally, these events don’t happen without lots of invisible work behind the scenes. We are forever grateful to the staff and students at the Royal Irish Academy of Music for their support of the event. Director Deborah Kelleher and her team were great hosts, and made us all feel right at home in their venerable building. Special thanks to Laoise Doherty, Brendan Breslin, Grainne Deery and Marie Moran of RIAM for all their practical support over the weekend. 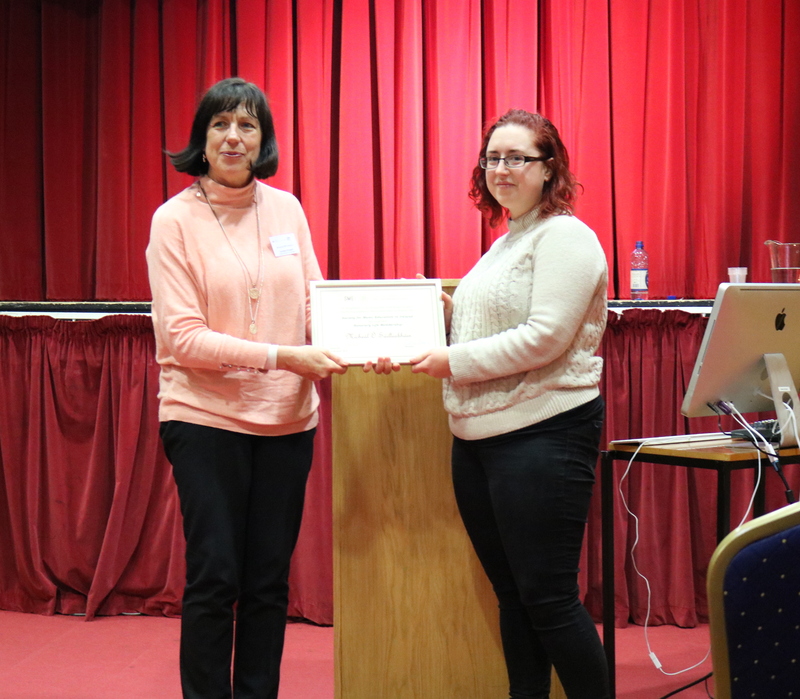 Shannon Burns (Irish World Academy of Music and Dance), accepts the Honorary Life Membership of the Society for Music Education in Ireland, on behalf of Prof. Mícheál Ó’Suilleabháin. The award is presented by Lorraine O’Connell, Chair of SMEI. Finally, it would be remiss of us not to recognise the work done by our own SMEI Committee in pulling the Conference together. In particular, Dr. Susan McCormick, Dr. Lorraine O’Connell, Dr. Regina Murphy and Dr. Shannon Burns who worked directly on the organisation of the Conference. The happy ‘Survivors’ of an action-packed Bollywood dance workshop, facilitated by Rachel Jacobs of Western Sydney university.